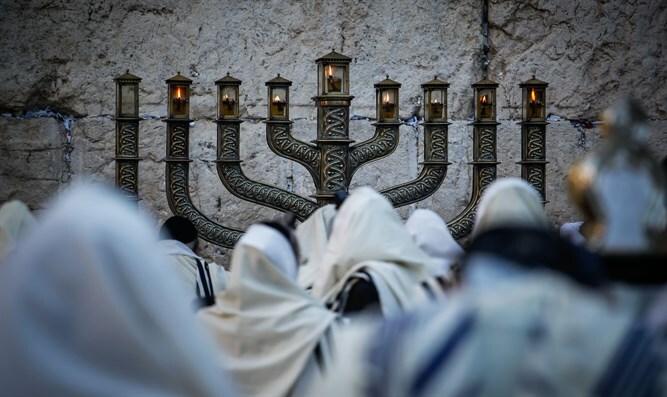 Polish, Israeli officials and dignitaries unit to celebrate Hanukkah and reinforce their commitment to battle against anti-Semitism. Hanukkah candles were lit in the Polish Sejm (parliament) today, Wednesday, the fourth eve of Hanukkah. In attendance were senior government officials including Deputy Prime Minister Piotr Gliński; Chairman of Law and Justice Party Jarosław Kaczyński; and Parliament Chairman Amar Shalk. Chief Rabbi of Israel Rabbi David Lau lit the menorah beside Chabad Rabbi of Warsaw Shalom Stambler. For Israel’s Chief Rabbi, this event constitutes a closing of circles. His father and predecessor former Chief Rabbi Yisrael Meir Lau, was born in Piotrków Trybunalski in 1937, a scion of famous rabbis.